An accredited Interpersonal & Workplace Mediator with over 13 years expertise Tamara is a Senior HR Business Consultant with background in Organizational Psychology, Life Coaching & Mentoring with proven record of working successfully with both SME’s and large multinationals both within commercial and public sectors – including media, not for profit and the voluntary sector, civil service , local government, education, healthcare & engineering. Tamara speaks fluent Serbo – Croat. 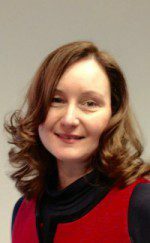 Tamara brings highly emphatic, client & outcome focussed yet balanced approach to her clients both with mediation and consultancy setting. Tamara is also a Founding Director of Gravitas HR Consulting specialising in bespoke management consulting services and works with a number of industry niche expert associates in their respective fields to raise a bar in bringing organisations and people together and optimising performance. Her clients and colleagues describe her as highly driven approachable and people focussed delivering consistently to every client brief. With specific interest in Psychology of Emotions and Workplace she brings her experience of Life coaching into all aspects of her mediation work combining this approach with intuitive style acting as an enabler towards positive mutually acceptable resolution. Employee Relations & Corporate Policy; HR Strategy & action planning (specialist area Performance management). NHS; London authorities; Bureau Veritas plc.